Almost every one of my wfpb recipe books has a recipe for cornbread. And none of them are super-simple. How can cornbread recipes not be super-simple?! So, off to Google I went to search for a good, easy cornbread recipe. 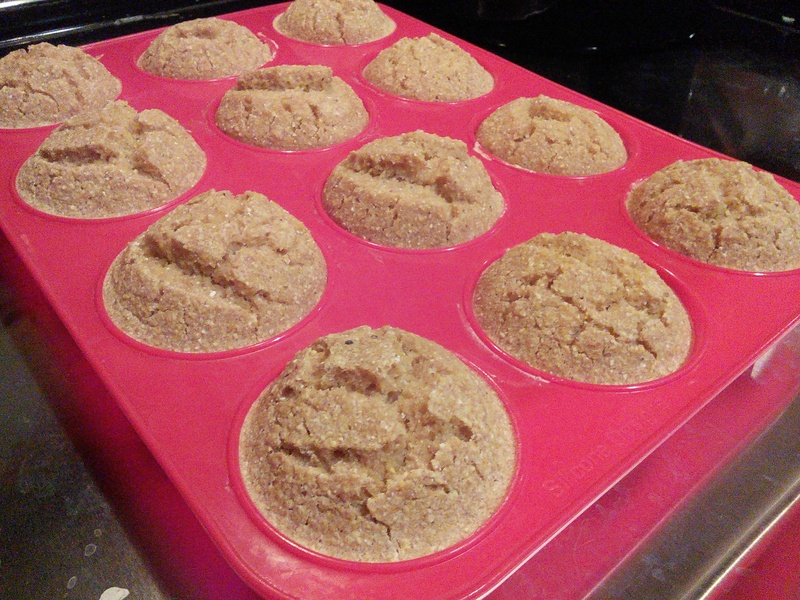 One of the easiest results I found was Post Punk Kitchen‘s “Vegan Cornbread” recipe. After a couple substitutions, it actually turned out pretty well as a wfpb recipe. The cornbread comes out a little more dense and breadier than “normal” cornbread because of the whole wheat flour, but I still like it! This is a recipe I’ll be playing with the next time I make it to see if I can recreate the cornmeal texture a bit more. Preheat oven to 350° and line a 9×13 baking pan with parchment paper, OR make it simple and use a silicone muffin pan! 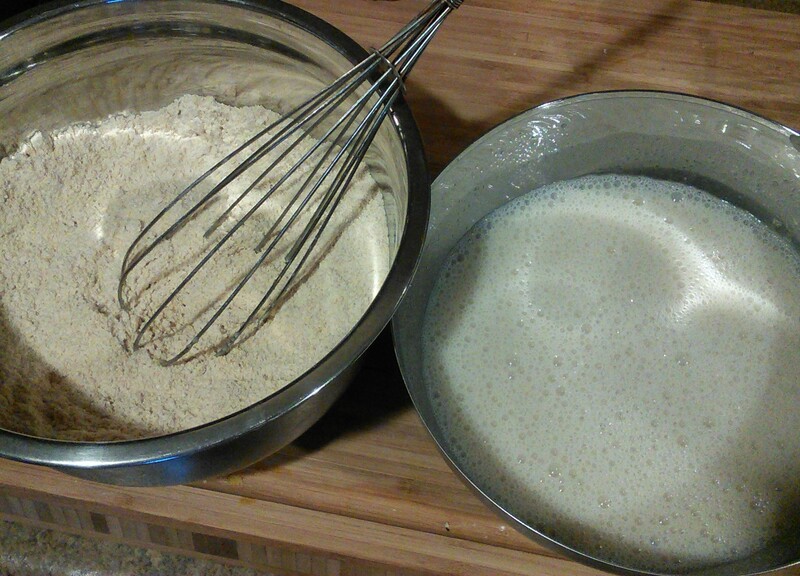 Pour the wet ingredients into the dry ingredients, mixing as you pour. Mix completely together. Pour into the baking pan or muffin pan and bake for 30-35 minutes (30 for muffins), or until a toothpick inserted in the center comes out clean. When they’re done, slice the squares, or simply pop them out of the silicone tray!